A few months ago I decided that it was time for us to switch bedrooms and move from the master suite upstairs to the one downstairs. I felt like our kids were finally old enough for us to not be right across the hall. There are so many reasons that it is a good thing, but the master bed room and closet downstairs are much smaller that the one upstairs. The smaller room hasn't been a big deal, but it has taken some tweaking to make the closet fit our needs. Our new room used to be the kid's playroom, so we had installed shelves on the side of the closet to hold bins of toys. This wasn't the best setup when it came time to fill the closet with clothes. We used the closet as it was for a few months, but I finally decided that I needed to make some adjustments to make it fit our needs better. We have done so many major projects the last few years and have a few smaller ones going on right now. I would really like to give this closet a complete overhaul, but I have just not been in the mood for major projects. The plan was to simply make it functional without spending a lot of time or money on this. We do have a good size armoire that holds all of my husband jeans, shorts, t-shirts, pajamas, and undergarments. I did steal the bottom drawer so that I had a place to put my undergarments and pajamas, so those things are not in the closet. 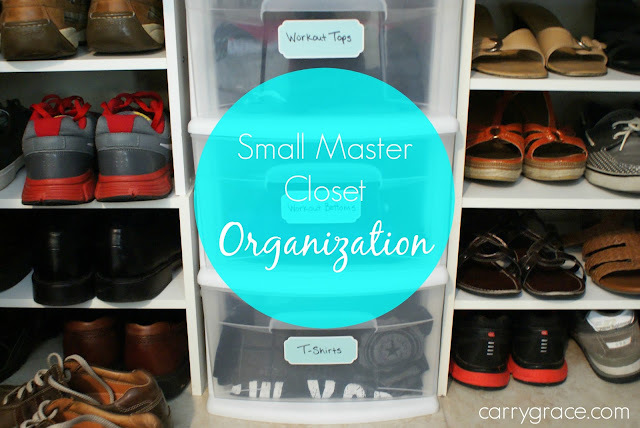 I knew from the beginning that all of our clothes would not fit in the closet, so I pulled all of our sweaters, and more winter type clothing and stored it in that big clear bin at the top. I also put all of my winter shoes in bins and plastic boxes. This mostly worked, but the shelves on the side of the closet were in a really bad spot. They took up a lot of valuable hanging space and they were hard to get to. The first thing I did was remove those wire shelves. I also picked up a few canvas storage bags to hold all of our winter clothes so that I could store them under our bed. This freed up quite a bit of usable space in our closet. I'm pretty sure I only paid $5 for the 2 canvas bags are ROSS. I did go through all of the clothes and made sure to only hold on to the things that we are wearing. I didn't get rid of much because I just did this pretty recently, but every little bit helps. I left some room between the shoe organizers and the wall on my side of the closet so that I had a space for my dresses to hang. This left a little bit of room between the shoe organizers for a set of plastic bins. They are not glamorous, but they work well for holding my workout clothes and t-shirts. It is much better that having to reach around the hanging clothes to get to them on the far side of the closet. I have a label maker, but I wanted larger labels, so I used these Martha Stewart labels from Staples. I just wrote on them with a sharpie. 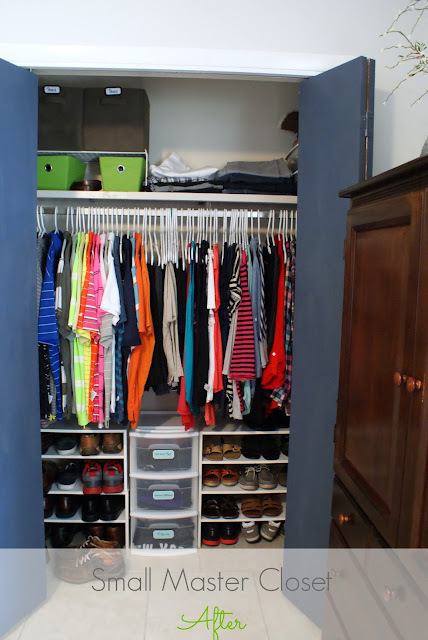 Watch this video to get the full tour of the closet! 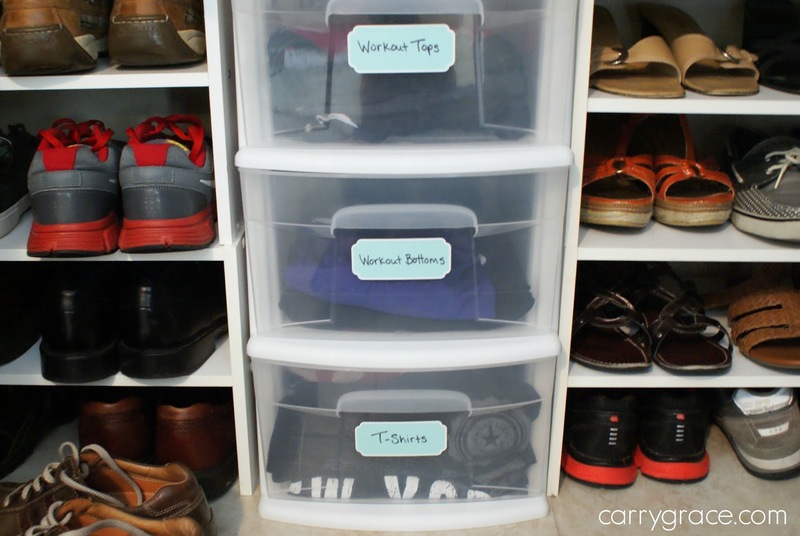 Yes, I would really enjoy having a huge walk-in closet, but I don't, I am really thankful that I have a closet full of nice clothes and shoes. I'm also thankful that I can now get to it all. I'll just switch everything back out in the fall. 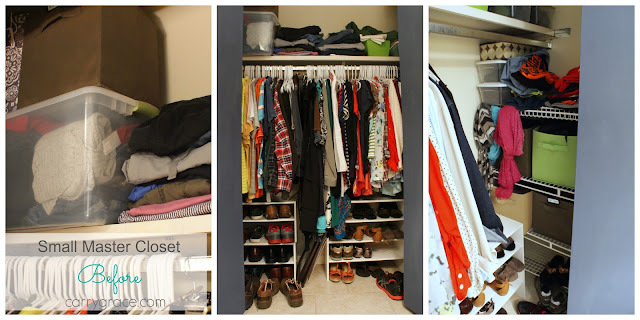 Do you have a small closet? 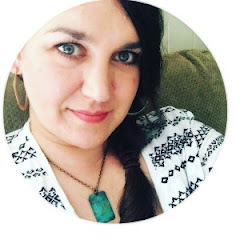 How do you make it work for you? You have such a nice set-up now! I like the labels on the Sterlite drawers. Thanks, Katie! Haha, yes, I'm still really happy to not be across the hall from the kiddos. Love this! I had a smaller closet at the townhouse we just moved out of and I had to really organize to maximize the space. I just did a reorganization of my new shoe closet downstairs (it was just a pile of shoes below my coats) that I need to post. Thanks for this small closet idea! Thanks Tif, I look forward to seeing what you do in your shoe closet.